reasearch – Life of a guy they call "JiNX"
After 11 years, The Beagle 2 spacecraft is found on Mars. 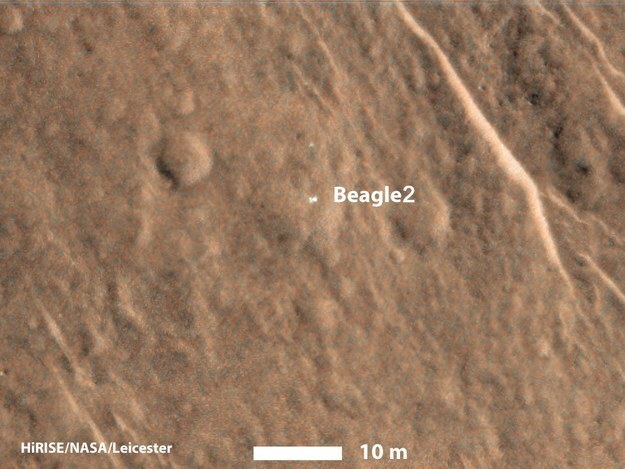 After 11 years, the Beagle 2 has been found on the red planet Mars. Beagle 2 was scheduled to land on Mars in 2003, but scientist lost contact with it during it’s decent into the red planet. Images came back to find that Beagle 2 did successfully land on Mars, but was only partially deployed after landing. The final solar panel on the spacecraft did not open properly, which meant that the antenna was not expose and couldn’t communicate with scientists back home. I feel sorry for the scientist that had to deal with this ordeal. They spent quite some time with this project for it to never come to fulfill it’s duties because the final solar panel didn’t deploy properly. I believe it’s better knowing the fate of Beagle 2 instead of never having any kind of closure from the project, even if it’s 11 years later. 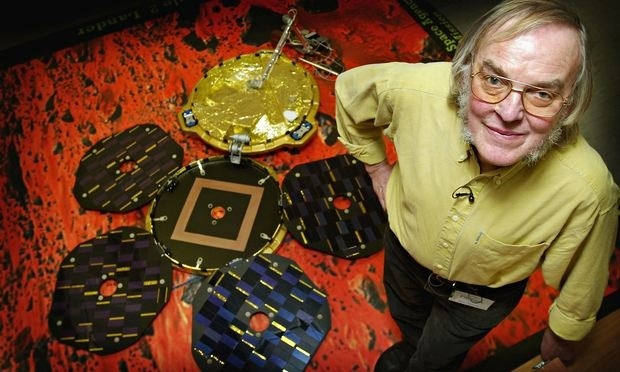 My heart goes out to the mission principal investigator Professor Colin Pillinger and his family. Colin died May 7, 2014 after suffering a brain hemorrhage. The man died before ever knowing the fate of his Beagle 2. He was a determined mind to launch Beagle 2 Mars probe in spite of space bureaucracy. After this mishap it was hard trying to convince any agency of working towards a Beagle 3. The Beagle 3 project was rejected from the European Space Agency in 2004. Later, he would propose to NASA to include a scientific module originally meant for the Beagle 3 in the Laboratory Mars lander, but that offer was also denied. During his career, in 1993 he was elected in the Fellow of the Royal Society and in 2012 awarded the Royal Society’s Faraday medal. Maybe if he knew the fate of his craft he make the adjustments and proposed a new craft to the agencies. I really do feel gutted for Professor Colin Pillinger. He is survived by Judith and his two children, Shusanah and Nicolas. Colin Trevor Pillinger, space scientist, born May 9,1943; died May 7, 2014.